Finally got around to updating the look of my blog. Hopefully you dig! I got rid of the cheesy "beer" background and replaced it with something cleaner and a bit more personal. The new banner image shows a stack of drink coasters from my wife and I's wedding. 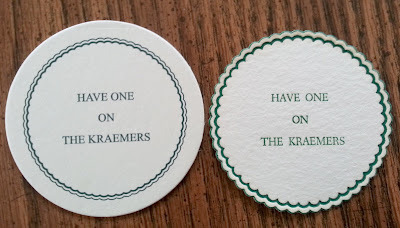 We modeled the fun "Have a drink on the Kraemers" design on an old coaster we found when cleaning out my grandparents' house. Sadly, I don't know the history of the coasters -- Were they made up for a specific occasion? How old are they? If I had to guess, I'd say 40 or 50 years -- but having them at our wedding seemed like something my grandpa would have liked. Our wedding coaster (left) based on the design from my grandparents. It seemed like the perfect banner for this blog. Another night working with two beers. Bottled the "Wisconsin Winter Pale" Ale and racked the "Fat Mac" Scotch Ale to secondary. Wound up with about a case and a half of the pale and 4 gallons of the scotch ale. Overall impression of the pale ale: Good. Lighter bodied than expected but the dry hopping has imparted some of the citrus hop flavor that I felt the beer was lacking after initial fermentation. It definitely comes across more balanced than before. This balance is abundantly clear when comparing it to the 1 gallon batch that I didn't dry hop. That one is very blase. Scotch ale will sit in secondary for 1-2 weeks. Appearance was a great, deep copper color. Flavor was malty, but I expected more sweetness. It's just not there. Also, a touch of sour on the back end? Hard to tell at this stage. Could be the roasted barley coming through. Tried my Pout's Revenge Stout for the first time. Very nice. A classic dry stout composition. Extremely pleased with how it turned out. The flavor is balanced, roasty, slightly dry but not astringent, medium bodied, smooth, with an almost velvety mouth feel. Nice roasty aroma. Deep black to brown color with a deep red hue. Bring on the competition! With spring right hopefully around the corner (my office closed early due to a snow storm that day), I wanted to brew a sweeter, maltier beer for the season. And because I still don't have the setup to lager a big bock -- I'd love to brew a maibock -- a rich scotch ale seemed like a good alternative. 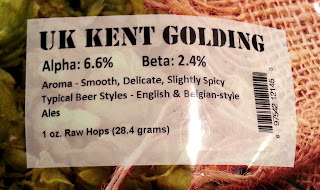 This batch takes inspiration from the AHA's blog posts, "Brown-eyed Women" and "McZainasheff's Wee," with some great historical and style pointers from Ray Daniels's chapter on Scotch ales in Designing Great Beers. Calling this one "Fat Mac" Scotch Ale. Because I love "It's Always Sunny in Philadelphia." And Mac is, like, Scottish-sounding. That is all. Measure out the mash water the day before brewing whenever possible. Saves time adding the water to the kettle and it takes less time to heat up since it begins at room temperature. I also hear that any chlorine in the water dissipates if left out for a few hours. 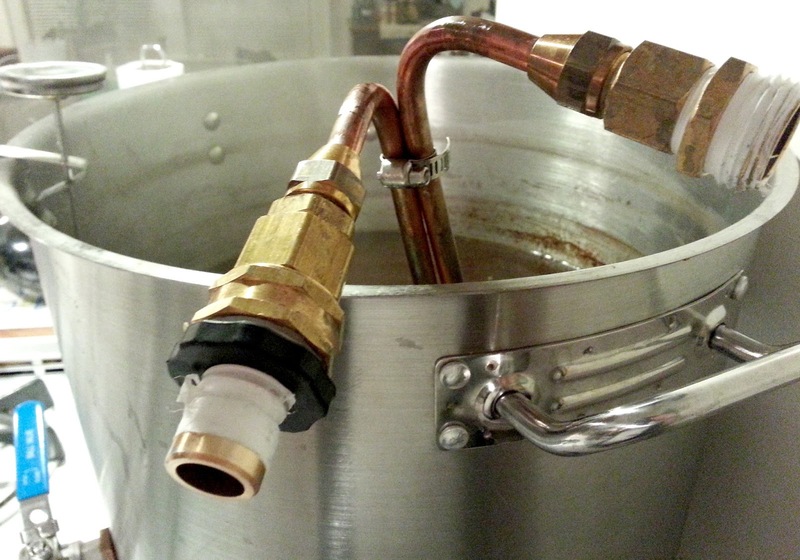 Reduce any water-to-grist estimates by 0.5 gal. I'm simply not seeing THAT much absorption from the grist. Also, my evaporation during the boil is nowhere near 0.25-0.5 gal per hour. Because I have to keep the brew kettle lid mostly on to get a rolling boil, I'm not losing much volume overall.